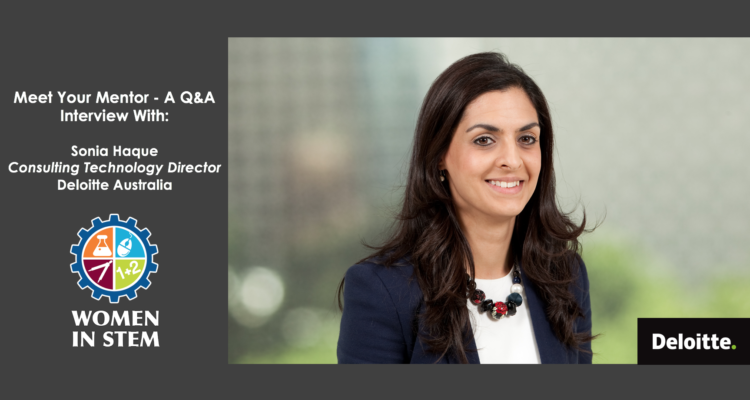 Day of STEM recently interviewed Sonia Haque, Consulting Technology Director at Deloitte Australia, to learn more about her career and background. Sonia is featured on the Day of STEM platform as an industry mentor as part of the Women in STEM program which is available to students now. Read the Q&A interview below to learn more and check out Sonia’s profile on the Day of STEM platform.